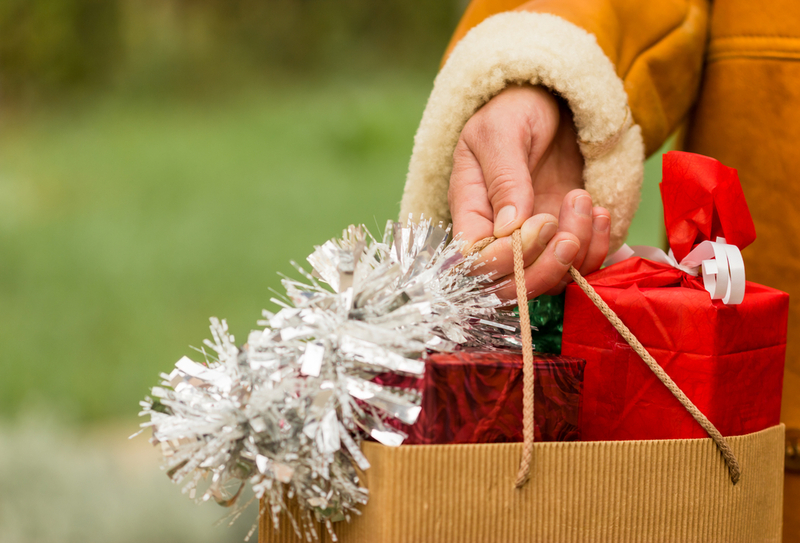 Holiday shopping can be both rewarding and challenging for senior citizens and caregivers. The opportunity to spend some time together looking for gifts for special people can produce a feeling of joy and excitement. On the other hand, crowded stores and chaotic atmospheres can sap energy and create tension and unhappiness. Anyone accompanying a senior on a seasonal shopping trip can make the experience more enjoyable by following these tips. Shop off-hours. Caregivers and others embarking on their holiday shopping trips should figure out when stores are likely to be the least congested and plan accordingly. For example, stores that cater to children and teenagers when you are looking for your grandchildren are less likely to be packed during school hours. Make a list. At the very least, a holiday gift list should include the names of every person for which gifts are needed. If possible, the list should also include a first choice item for each person, as well as a few alternate options, in the event that the first choice item is unavailable. It’s even better if the list includes ideas of which stores are most likely to carry the items on the list. Plan ahead. Take into consideration any mobility issues that might be encountered and strategize how to accommodate to them. Choosing a convenient parking space may be necessary as well as planning “rest times” on a convenient bench. Definitely make a point of identifying where restrooms are located. If a wheelchair is involved, make sure that accessibility is not an issue. If you are unsure of accessibility, call ahead and find out. Don’t cram too much into one trip. Shopping can be tiring, so it’s best to concentrate on “sprints” rather than “marathons.” Schedule far enough in advance to allow for several trips of modest length rather than one long, exhausting excursion. Bring along sustenance. The wise holiday shopper packs a small goodie bag with appropriate snacks and beverages. It’s true that many stores and malls feature fast food or dining options, but these are likely to be crowded during the holidays. Not to mention that the dining options may not have the proper dietary needs that your patient or loved one needs. Don’t rush. There is a tendency during the busy shopping season to try to “get it over with.” Resisting this pressure has several benefits. For example, the shopper is able to enjoy the experience more and is more likely to make better gift decisions. Perhaps more importantly, rushing can increase the likelihood of a slip, trip or fall. HomeHero caregivers know the importance of the holiday season. They have the expertise to make seasonal shopping a more pleasant experience. That’s something everyone can use.